The EU said Thursday it will begin moves to block the effect of US sanctions on Iran as efforts to preserve the nuclear deal with Tehran deepened a transatlantic rift. 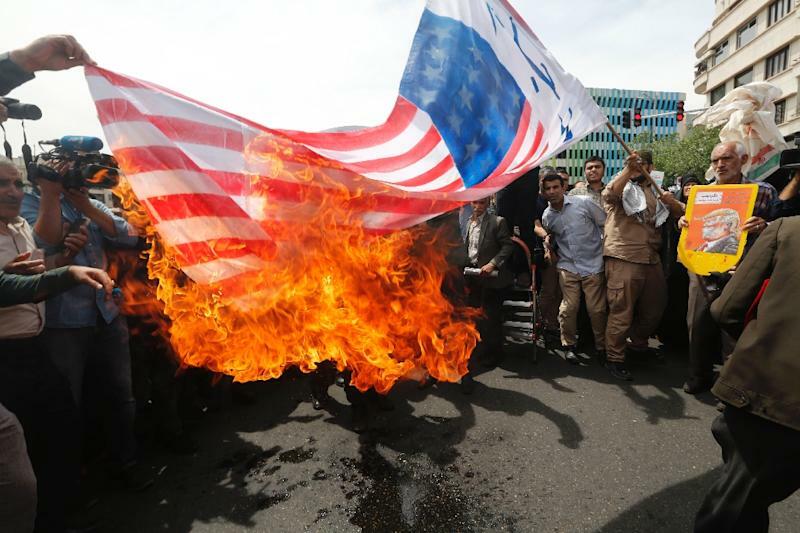 The decision came as Russia and China took some of their most concrete moves yet to extend their economic influence in Iran, in the face of renewed US efforts to choke off Tehran. "We will begin the 'blocking statute' process, which aims to neutralise the extraterritorial effects of US sanctions in the EU. We must do it and we will do it tomorrow morning at 10:30," Juncker said at the summit in Sofia. The "blocking statute" is a 1996 regulation originally created to get around Washington's trade embargo on Cuba, which prohibits EU companies and courts from complying with specific foreign sanction laws, and says no foreign court judgments based on these laws have any effect in the European Union. However, the Cuba row was settled politically, so the blocking regulation's effectiveness was never put to the test, and its value may lie more as a bargaining chip with Washington. French President Emmanuel Macron said Thursday that one reason for the efforts to prop up the Iran deal is "so that our businesses can remain" in Iran. The EU leaders pledged at the meeting to keep a united front against Trump, whose decisions to pull out of the Iran deal and to impose trade tariffs on Europe have triggered the worst transatlantic crisis since the invasion of Iraq in 2003. EU President Donald Tusk renewed attacks on Trump at the summit Thursday, suggesting that the US administration was now as unpredictable as Iran's regime. "The real geopolitical problem is not when you have an unpredictable opponent or enemy, the problem is if your closest friend is unpredictable. It's not a joke now," Tusk told a news conference with Juncker. Tusk on Wednesday had slammed Trump's "capricious assertiveness", comparing him to Europe's traditional adversaries Russia and China, and saying Trump's approach had left the EU with "no illusions" that it could rely on anyone else. China, Russia and EU members Britain, France and Germany were also signatories of the Iran nuclear accord, and have said they will stick to the deal if Tehran respects its terms. On Thursday, a Russian-led trade bloc signed an interim trade deal with Iran and signalled plans to negotiate a free trade zone. Russian firms have less to lose from bucking US sanctions. Many major Russian companies are already operating under tightening US sanctions over Moscow's seizure of Crimea and its role in the Ukraine crisis. Meanwhile, Iran's oil minister said that Chinese state-owned oil company CNPC was ready to replace Total on a major gas field project in Iran. Beijing also signalled that it intends to continue "normal and transparent practical cooperation with Iran". Trump's withdrawal from the deal is now likely to boost China's influence in the region, a European diplomatic source warned. "The Iran issue will probably reinforce China in the region, because the European businesses that can't take on the cost of difficulties on their American markets will leave an important gap for a power that seems to have no problem with taking their place," the source said.